Will Thorne is living a nightmare, his sanity slowly being drained away by a force he can't control. His talents have made him the perfect assassin for hire. 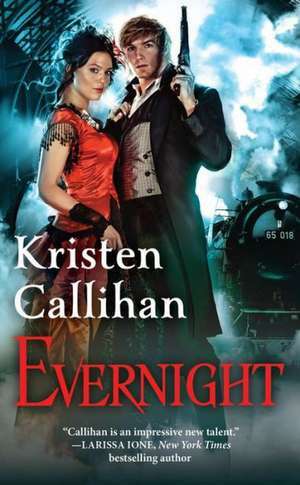 But as he loses his grip on reality, there is no calming him-until he finds his next target: the mysterious Holly Evernight. "Top Pick! 4 1/2 Stars! Like moths to a flame, readers will be drawn to the flickering Firelight and get entangled in the first of the Dark London series. Combining Stephen King's Carrie and Beauty and the Beast, Callihan crafts a taut tale filled with sexual tension. This is one of the finest debuts of the season." "Compulsively readable...a compelling Victorian paranormal with heart and soul."